A frozen shoulder refers to pain, stiffness, and limited range of motion in the shoulder. This condition is also known as adhesive capsulitis. This can cause serious disability, and without treatment, it will only get worse. Frozen shoulders are most common among patients aged 40 to 60, and it is more common in women than in men. 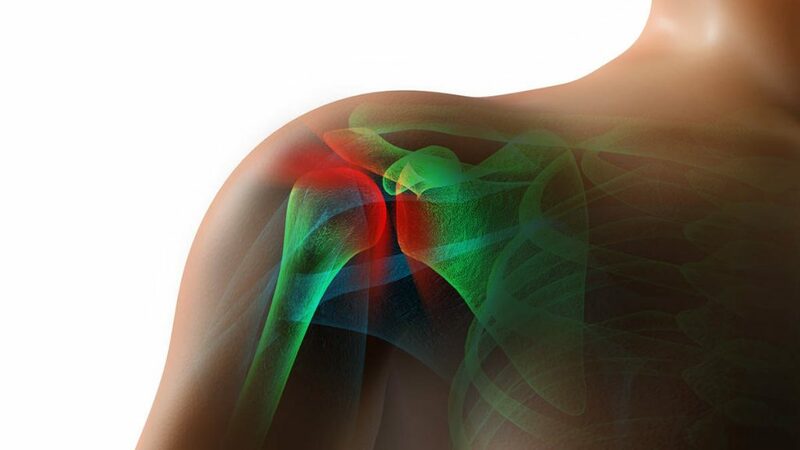 While the jury is still out on what causes frozen shoulder, it is most likely an inflammatory process. If the shoulder has been stationary for a long period due to injury, illness, or surgery, it can cause the shoulder to freeze. But outside of a serious injury, the cause of the condition is more often than not unknown. The good news is that this condition is treatable—shoulders can be “unfrozen”, though it can take a lot of time and healing to get back to normal. The shoulder has the most range of motion out of all the parts of the body. The top of the humerus (the bone of the upper arm) connects to the glenoid cavity of the scapula (shoulder blade) through a ball-and-socket like joint called the glenohumeral joint. 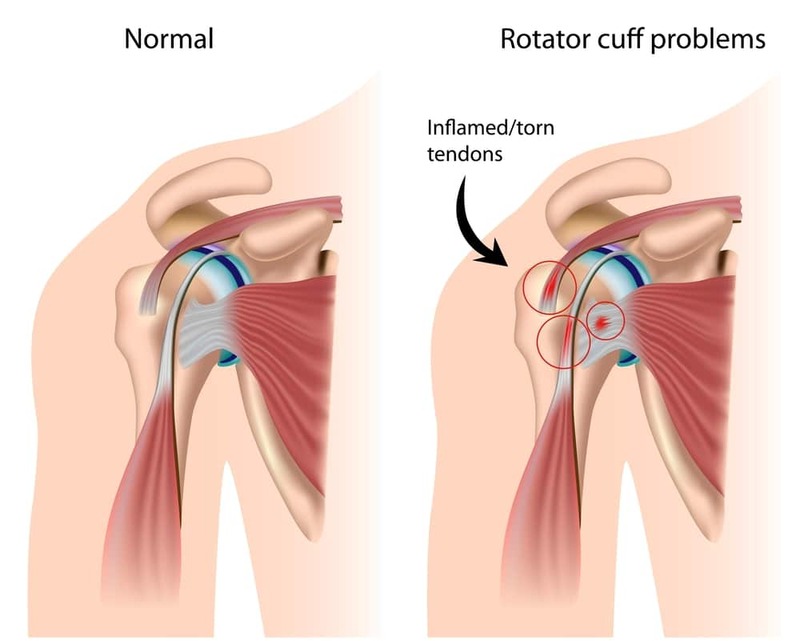 A frozen shoulder is usually caused by an injury, such as a fracture, or inflammation in the soft tissue like bursitis or tendinitis around the rotator cuff. This inflammation can be so painful that the patient is unable to move their shoulder through its normal range of motion. 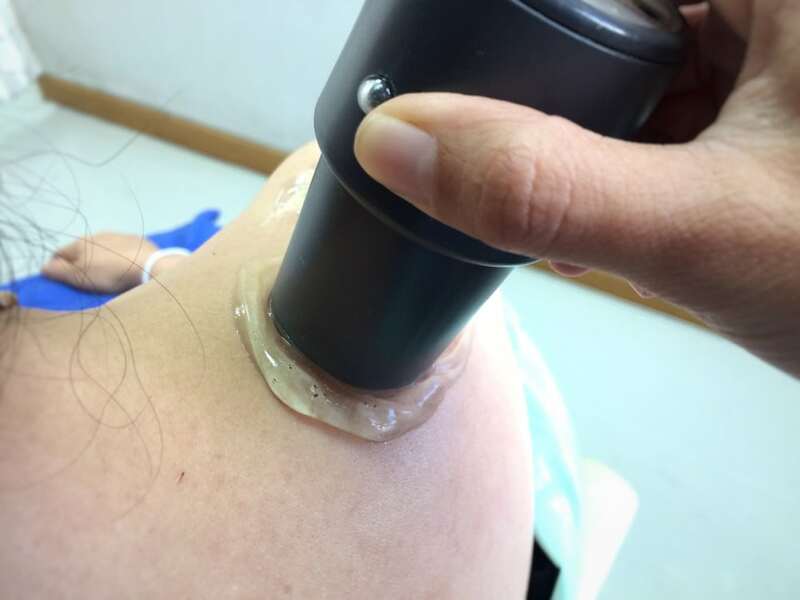 This causes the joint capsule (the connective tissue cushioning the glenohumeral joint) to thicken and contract, losing its elasticity and its ability to stretch and contract normally. Since moving the shoulder causes pain, most people stop moving it, but this further exacerbates the situation and the tissue contracts more. The humerus now has little room to move, and the lubricating synovial fluid in the joint may disappear. In some severe cases, scar tissue can form between the joint capsule and the humerus bone. This condition can develop over two to nine months. Even if the pain improves, the stiffness persists and the mobility of the joint is still restricted. Who Is Affected by A Frozen Shoulder? Risk of a frozen shoulder is increased if a patient doesn’t seek physical therapy following an injury or inflammation of the shoulder. Wearing a sling for several days without stretching can also increase the risk. 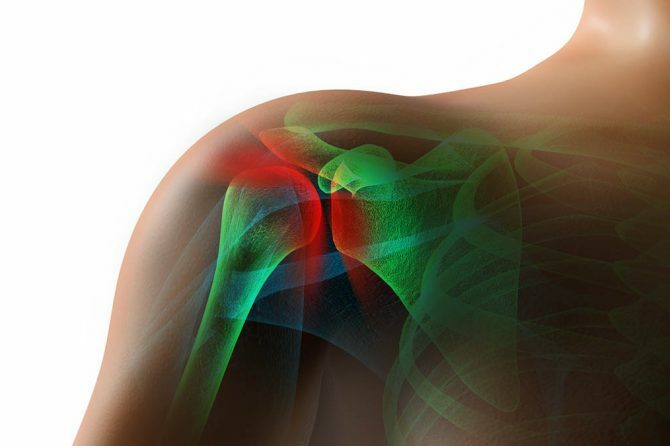 Almost 10% of patients treated for a rotator cuff disorder will get frozen shoulder. Those who have had strokes, heart conditions, or surgery that results in immobility of the shoulder joint are also highly at risk. Some other factors that can increase risk are thyroid disorders, Parkinson’s disease, and diabetes, with up to 20% of diabetics developing frozen shoulder. The first step to take if you think you are developing a frozen shoulder is to consult with a doctor and see an expert for an exam. You will likely have to demonstrate to your doctor your shoulder’s range of motion by reaching across your chest and down your back, known as the Apley scratch test. Your doctor might also take x-rays to make sure the shoulder pain isn’t caused by dislocation or arthritis. You might even need an MRI to rule out a tear in the rotator cuff. When you’ve been diagnosed with a frozen shoulder, your main goal will be to reduce pain and to return to your normal range of motion. To do this, your doctor will likely prescribe an anti-inflammatory pain medication such as aspirin, ibuprofen, or naproxen. Applying an ice pack for ten to fifteen minutes multiple times a day will also help to reduce inflammation and ease the pain. If your condition is severe enough, you might need a corticosteroid injection in the joint or tissue. However, the main part of your frozen shoulder treatment will be through physiotherapy. You will have to work on exercises to stretch the joint and strengthen the surrounding muscles. This should be done under the supervision of a trained physiotherapist, as they will know how far to push yourself and when to stop, to prevent further injury. Once you have learned your limits and all the correct motions, you can do many of these practices in your own home. While working on healing your shoulder, make sure not to push yourself too far. Refrain from overhead lifting or reaching, or any motion that significantly increases your pain. While stretching the joint will hurt a bit, it is meant to help in the long run and the last thing you want to do is make the condition worse. A full recovery will take time, most likely several months but in extreme cases, it can take a few years. However, 90% of people do eventually reach their normal range of motion with these nonsurgical treatment methods. If you start seeing less improvement or you hit a plateau in your recovery, it is a good idea to go back to your doctor to see if you fall into the rare category of people who do need surgery.